How do you build your next supercomputer without surrounding it with tons of hot plates, heatsinks, fans, air conditions or water pipes? 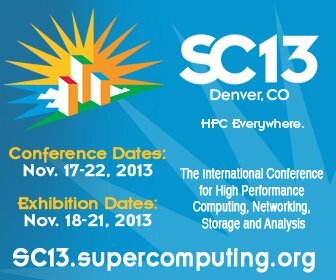 Come join us at the 3M booth at SC13 in Denver and we will be extremely happy to show you how. We’ll also show you how to keep it cool with very little energy spent for cooling, and how your next supercomputer infrastructure might be the last one you have to build for a long time (immersion cooling tanks are universal, you can remove the old hardware and replace it with new one, without changing anything else). ← How much CO2 could the World’s Most Powerful Computer save with 2-phase immersion cooling?